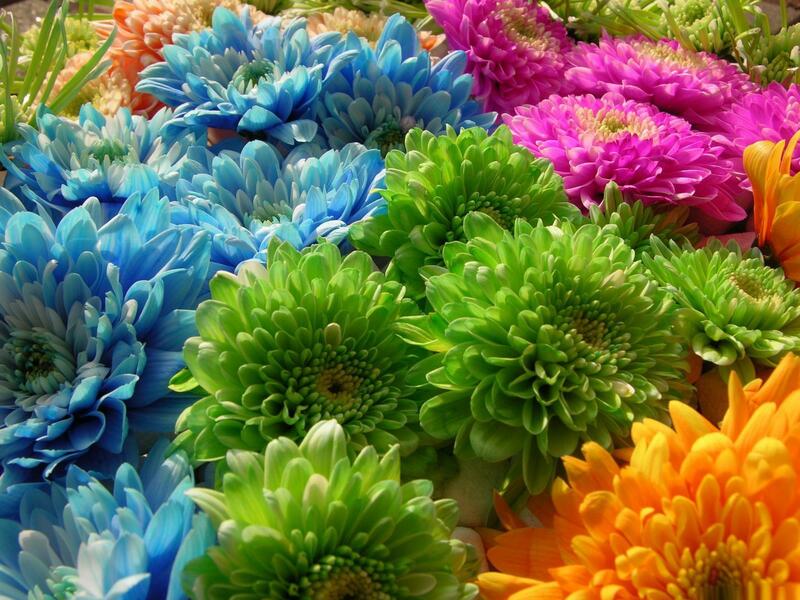 Click here to claim Free Daily Horoscope. 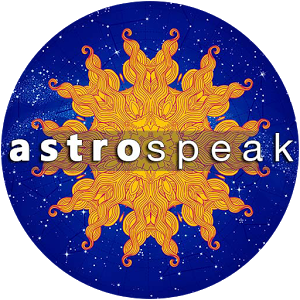 Astrospeak is a premiere horoscope destination that enables consumers to seek specific astrological advice around career, personal and financial needs from over 100 plus experts including Sanjay Jumani, Anupam V Kapil, and Bejan Daruwalla among others. Users can opt for free daily, weekly, monthly or yearly horoscope notifications on their mobile handsets or get real time predictions based on Chopais from ‘Ram Charit Manas’. For those into Tarot, help is just a click away with dedicated readings around relationships or clarity around life situations. 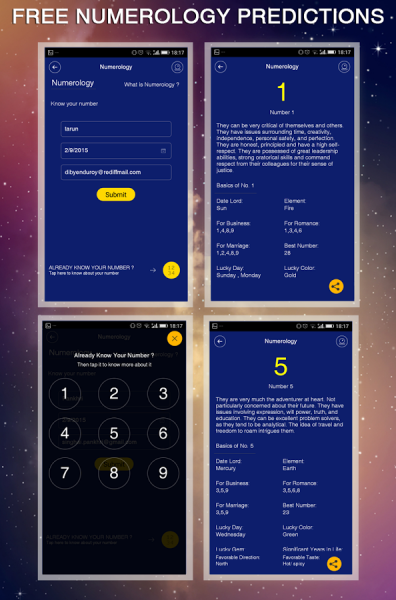 The Mobile app enables readings using the 3, 4, 5 and 10 card reading display formats designed to offer solutions or answers to specific questions. For those seeking deeper insights, there is a range of paid services that can be availed via live and deferred chats. The app also facilitates detailed analysis of subscriber horoscopes and birth charts to offer specific solutions on family, business, career, health and love & relationships. i. Free Horoscope: Get free daily, weekly & monthly horoscope from leading astrologers. Get detailed Horoscopes for Aquarius, Pisces, Aries, Taurus, Gemini, Cancer, Leo, Virgo, Libra, Scorpio, Sagittarius, and Capricorn. iii. 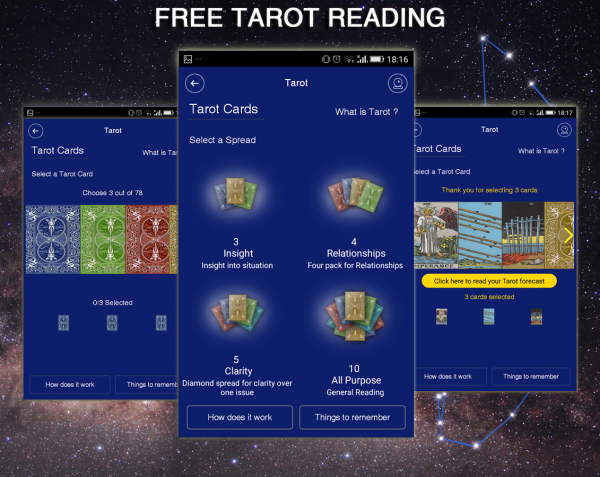 Free Tarot Readings: Get free daily, weekly & monthly Tarot guidance from Tarot experts. iv. Shri Ram Charit Manas Prashnavali: Free answers and predictions based on Chopais from 'Shri Ram Charit Manas' or "Ramayana”. v. Free Festival Calendar: Get Free daily updates on all important dates, major planetary positions, events and Hindu festivals. vi. Free Sun sign Compatibility: Know your sun sign compatibility with your partner. viii. 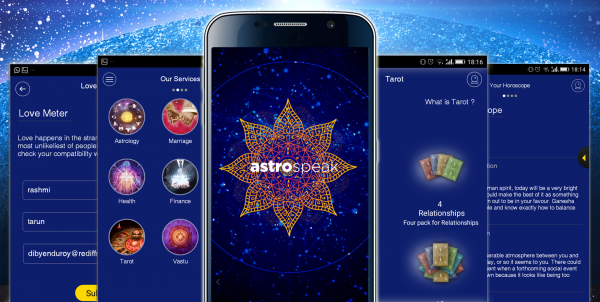 The Astrology, Horoscope & Numerology by Astrospeak is 100% ad free. i. Ask A Question – Have a question in your mind that needs expert attention? Our experts will answer your query. ii. Love & Relationship – Tensions causing chaos in your love life and family? Our experts will help you with insights by analysing your horoscope. iii. Career prospects – Looking to make a big splash or seeking a job change. Our experts will analyse your birth chart and offer you required solutions. iv. Finance – Worried about your financial status? Seek solutions and remedies by our experts to ensure a smooth year of finances. v. Health Profile - Health is wealth! Our experts will analyse your horoscope to formulate a health profile analysis for you. vi. Vastu Shashtra Consultancy – Wish to improve your luck or enhance the atmosphere at home? Seek the right solutions from our Vastu consultants. vii. Tarot – Our Tarot experts help you take charge of your life by decoding what’s right for you and showing you the correct life path. viii. Marriage – What is causing delay in your marriage? Unable to find your right match? Are you manglik? Seek solutions here. Download Free Daily Horoscope from these app stores today.